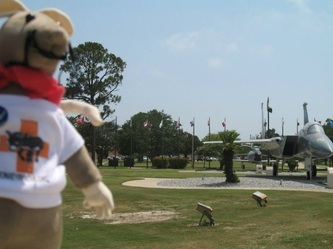 My adventure into the Florida panhandle. 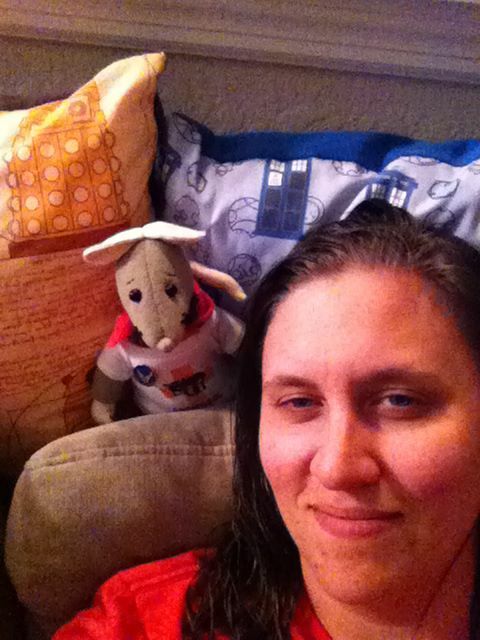 Me and my host on the night I arrived. 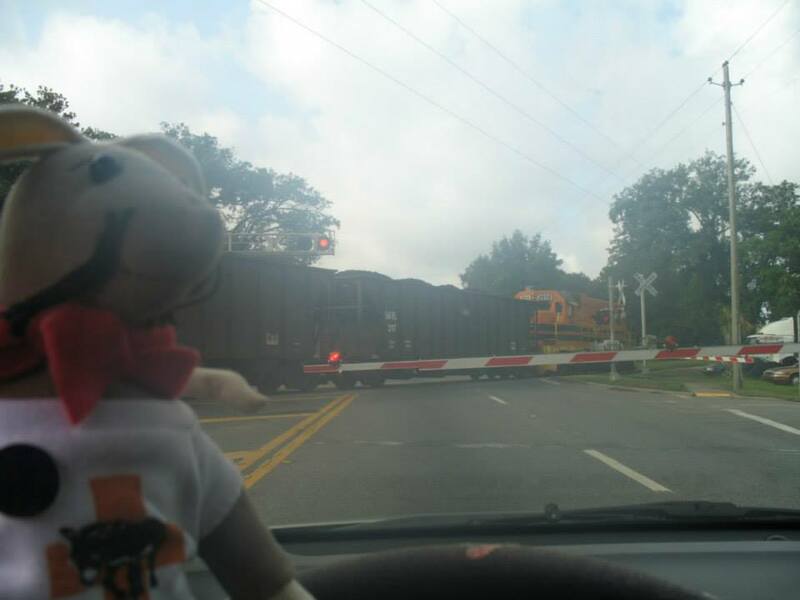 I got here just ahead of a storm! 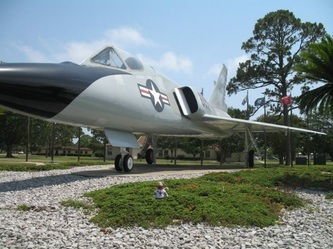 I think it followed me! 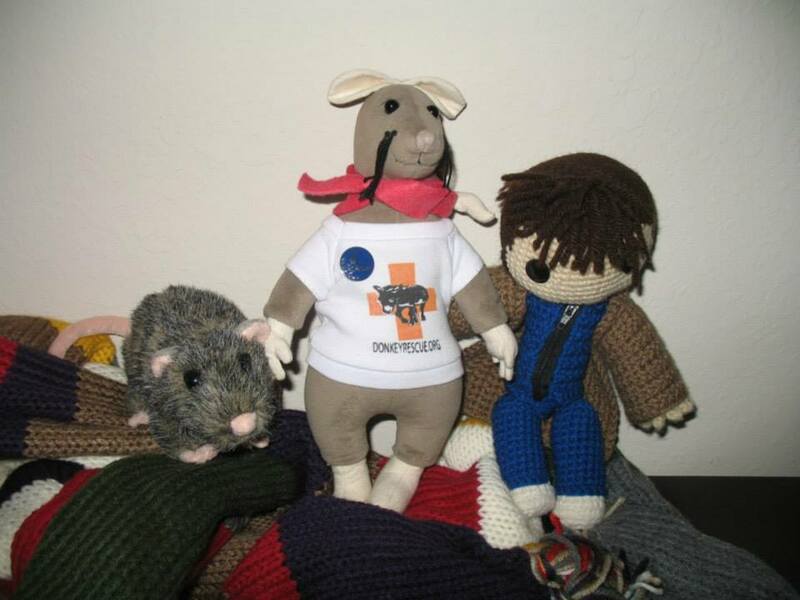 My host doesn't currently have pet rats, but I get to hang out with Scabbers and The Doctor! 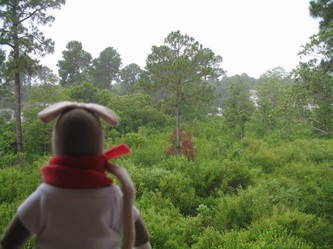 It was a rainy Sunday, which meant no real sightseeing. It sure seems to rain a lot in Florida. 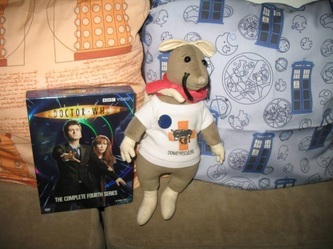 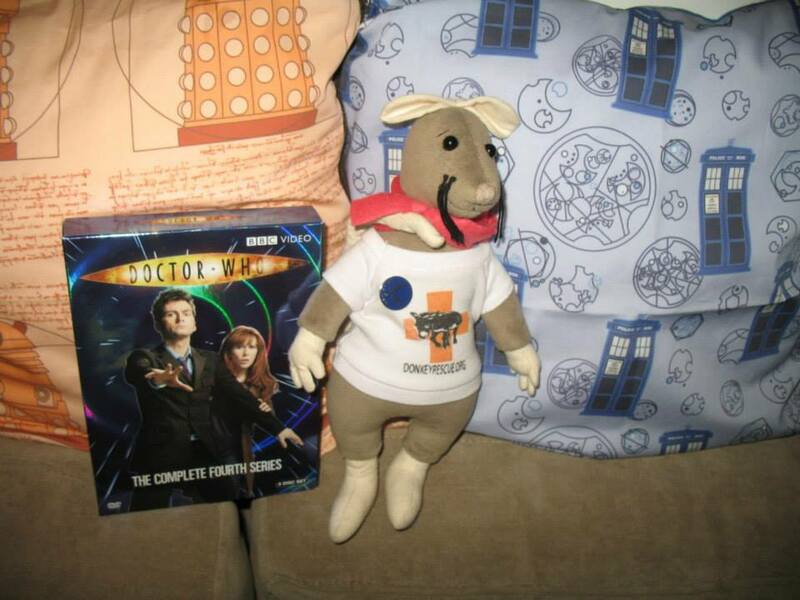 Due to the rainy day on Sunday, my host put on some of her favorite show, Doctor Who! We enjoyed cookies and gelato while watching Doctor Who. On the way into work this morning (Monday) we had to stop and wait for the train to pass by. 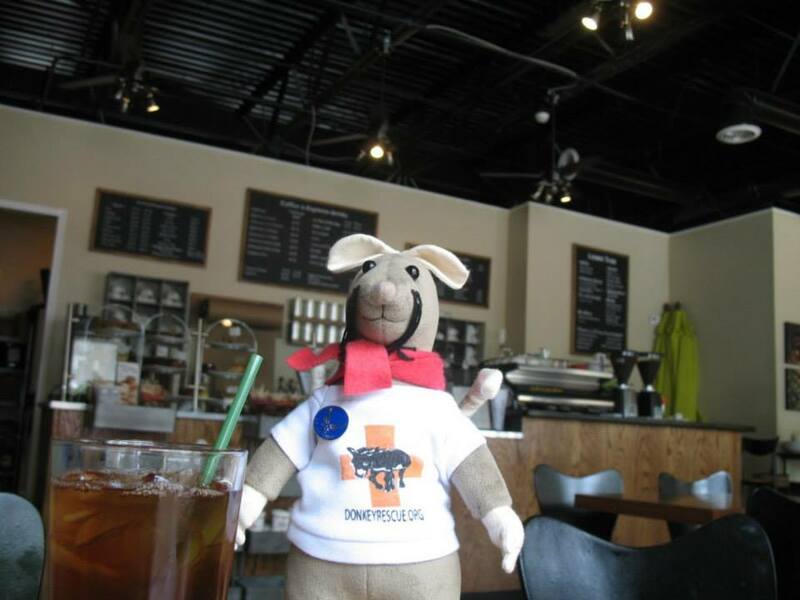 For lunch on Monday we went to a cafe in St. Andrew's Bay. 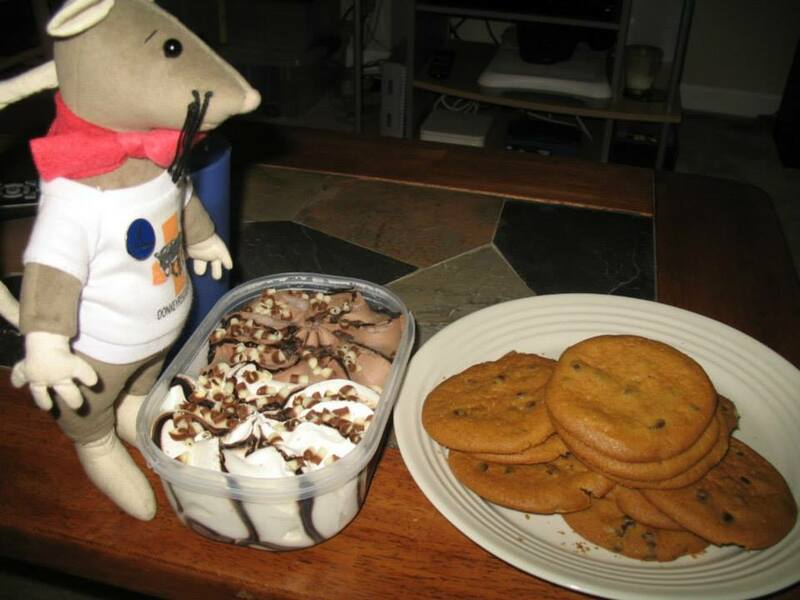 Very tasty! 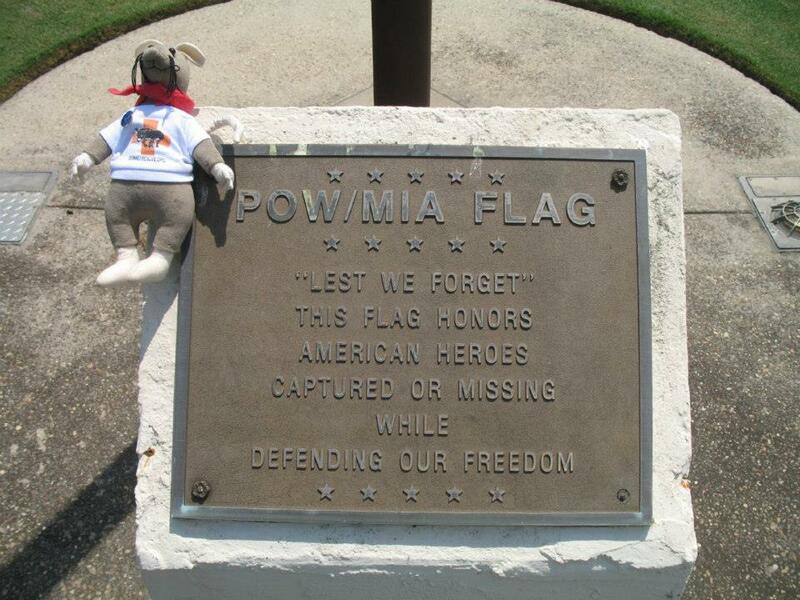 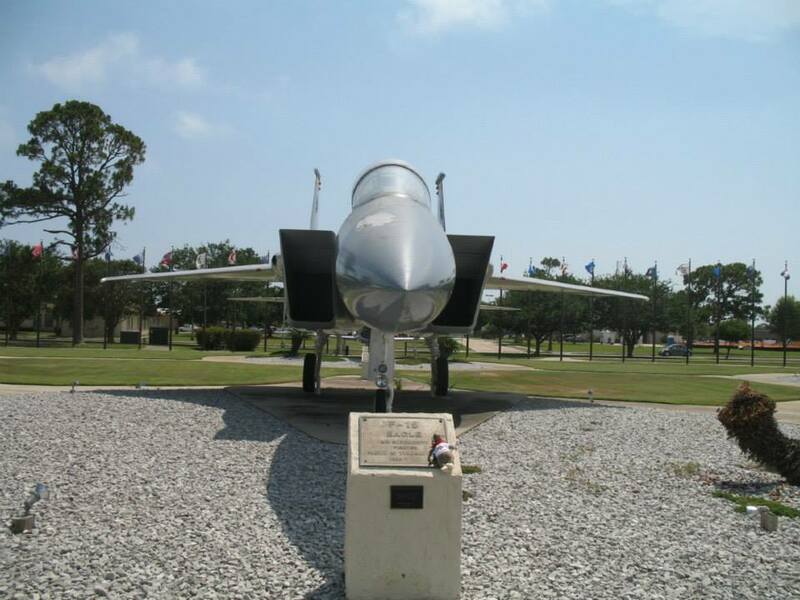 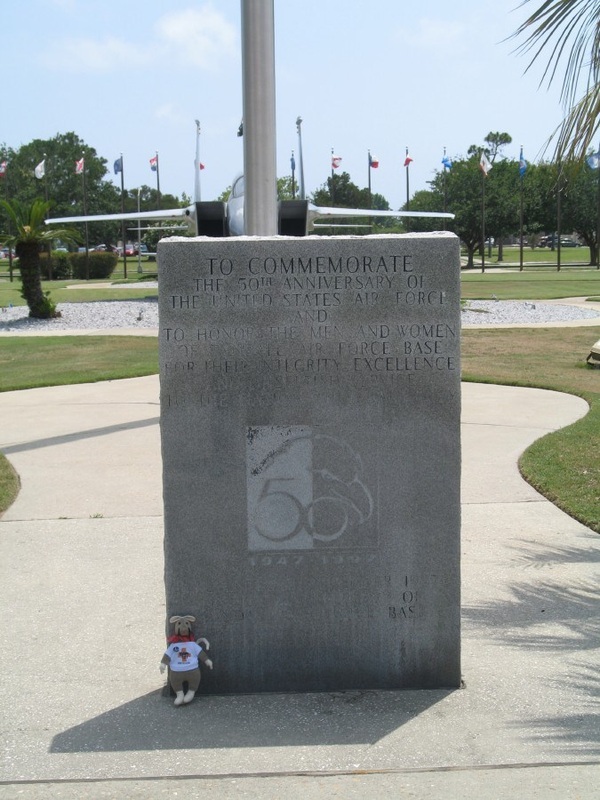 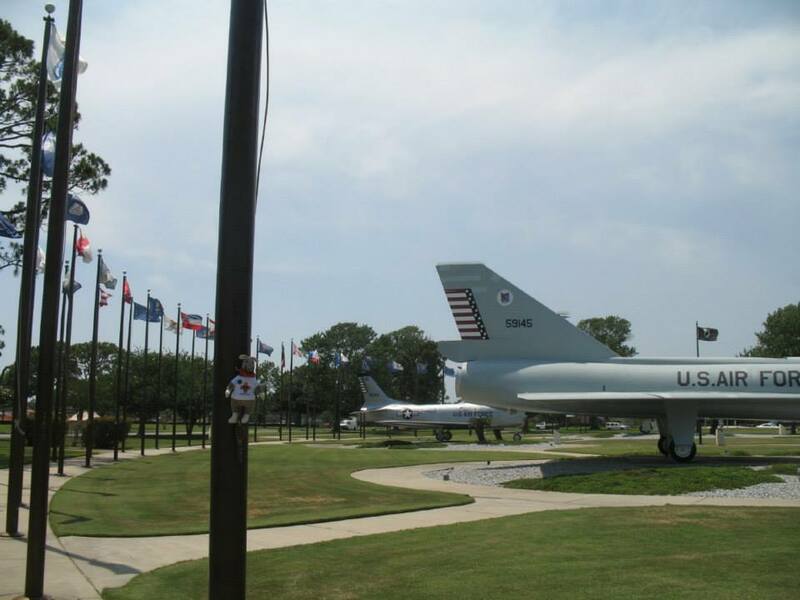 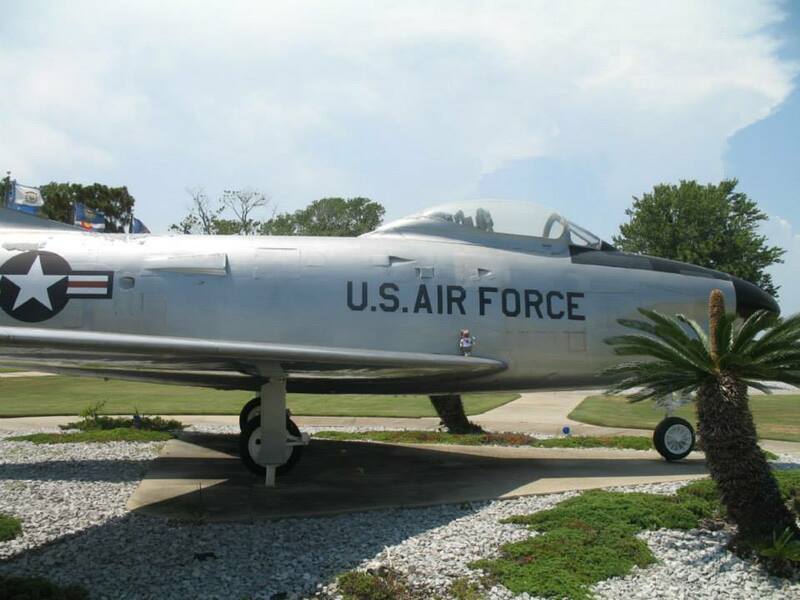 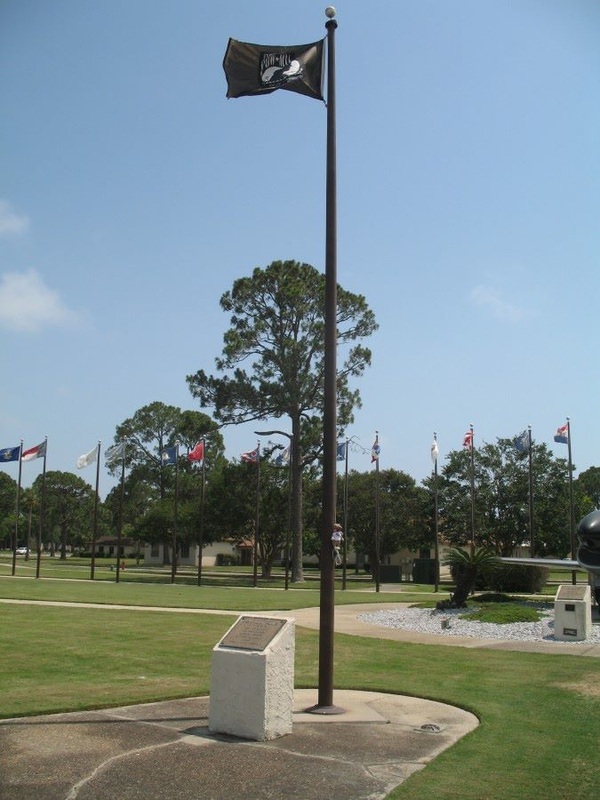 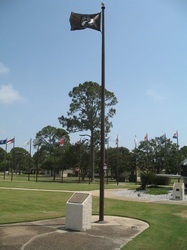 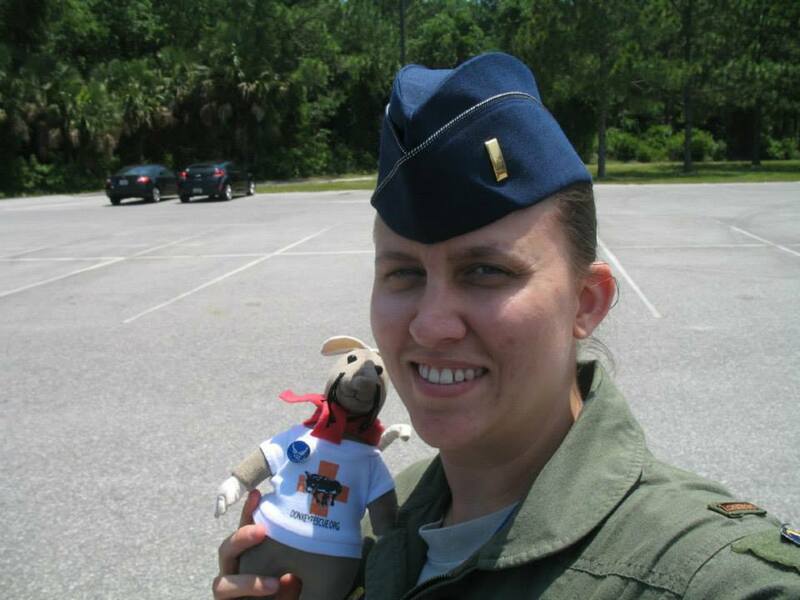 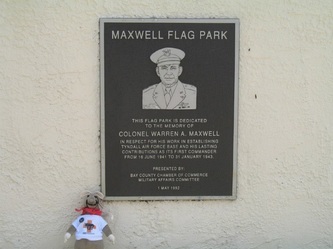 The Flag Park at Tyndall AFB! My host and myself at the Flag Park. 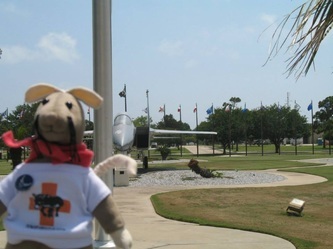 It sure was hot and humid outside! 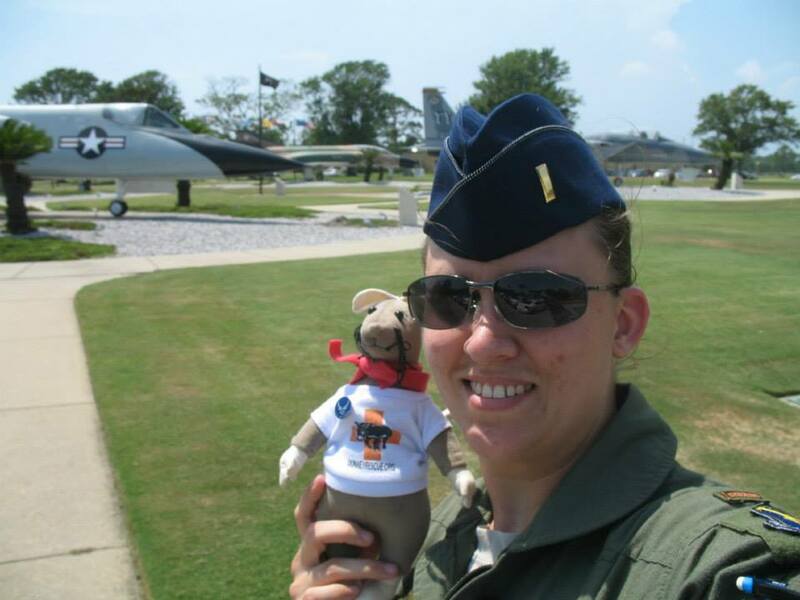 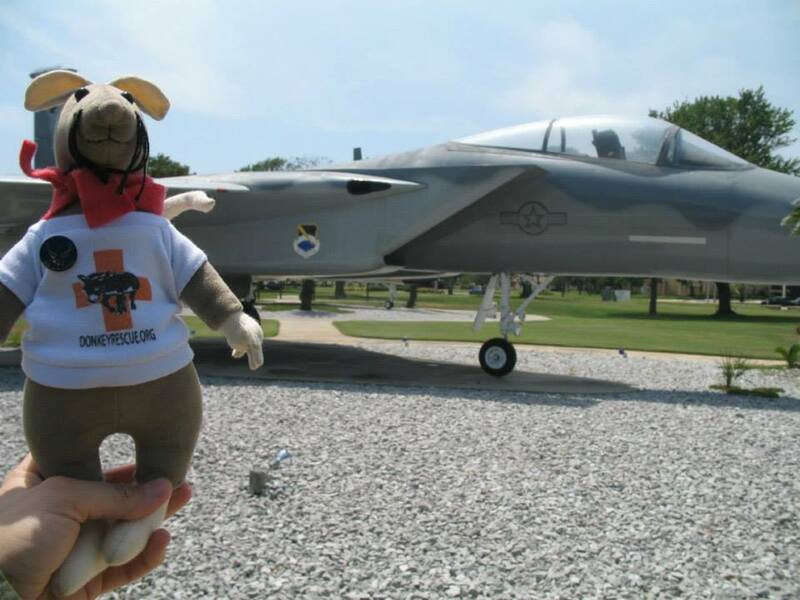 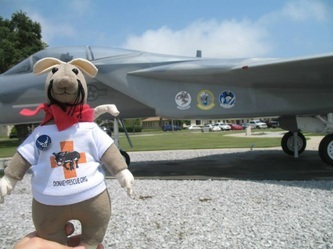 That's an F-15 in the background with all 50 states flags! 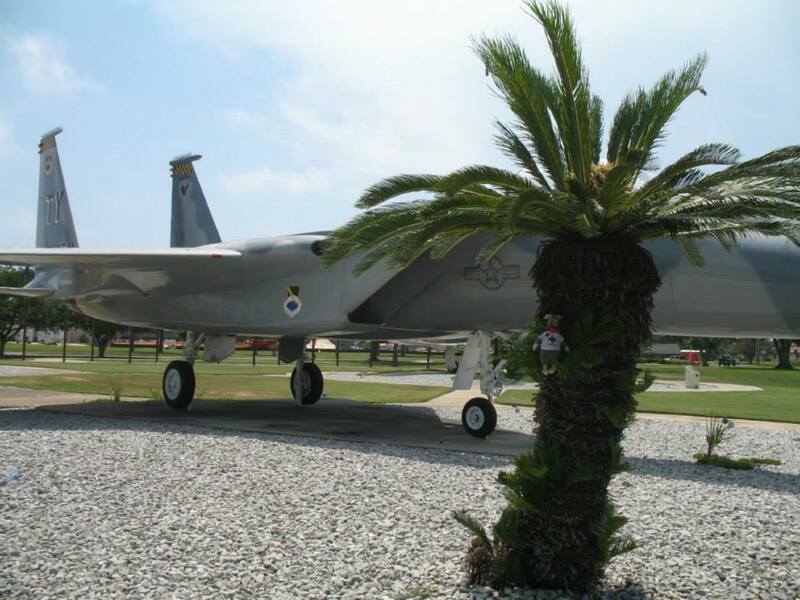 Really cool F-15, Eagle! 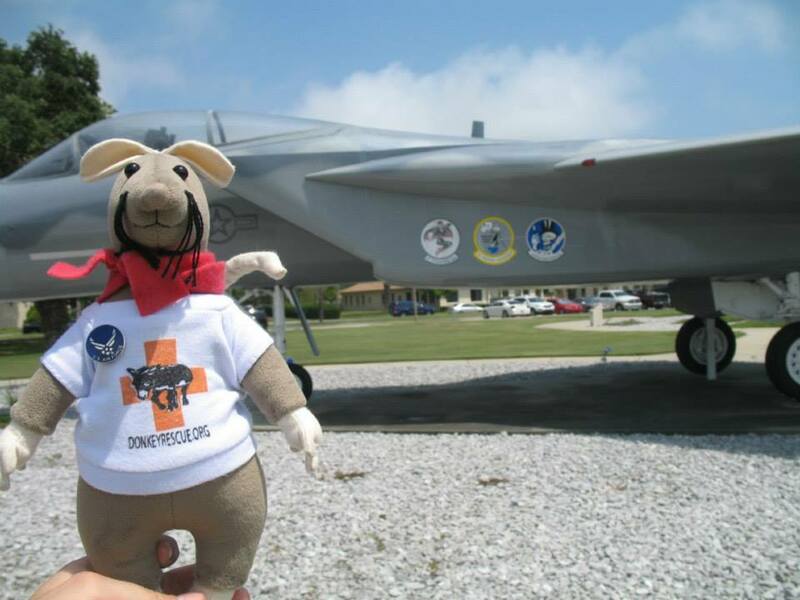 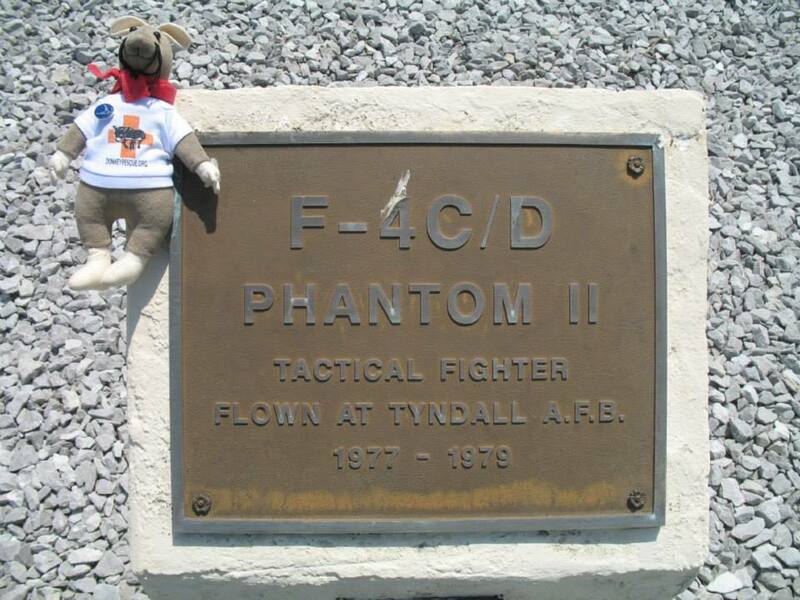 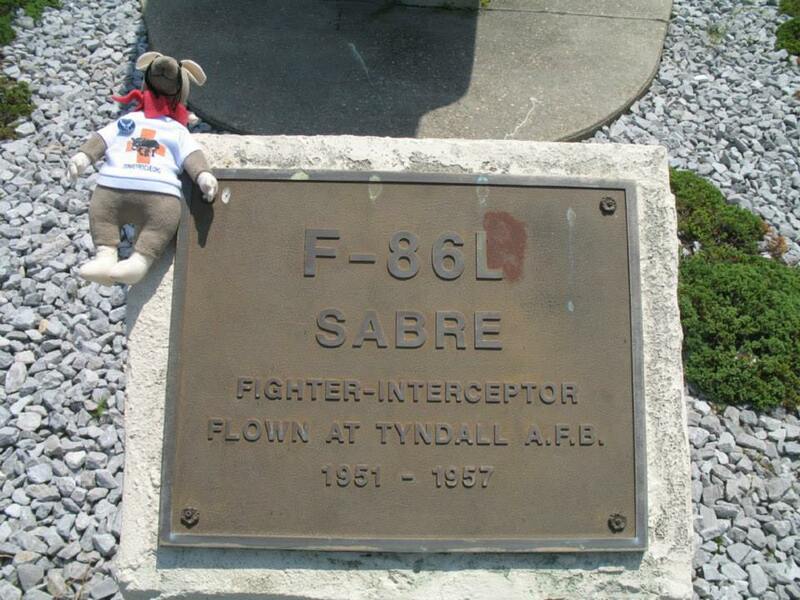 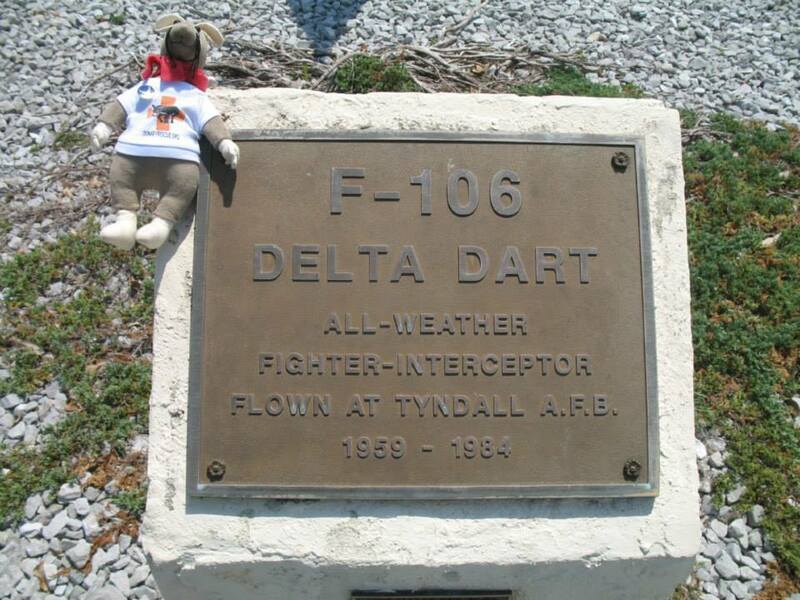 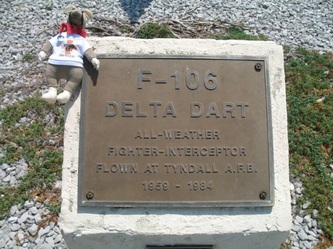 They used to train the F-15 pilots here at Tyndall. F-15 Eagle. 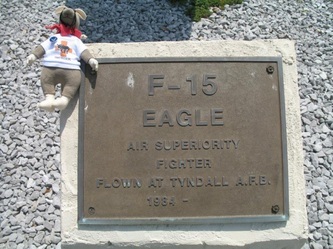 My host is training to become an air battle manager and she got to control some Eagles & talk to their pilots the past week! 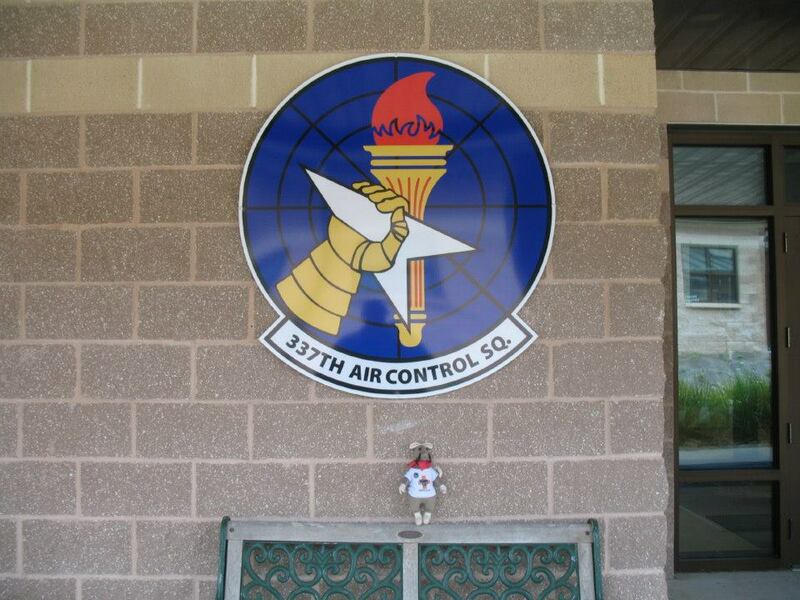 The squadron that my host works in: the 337th ACS. 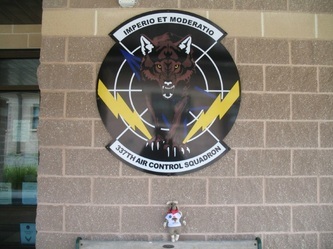 One of the squadron patches in large form. Other squadron patch in large form. 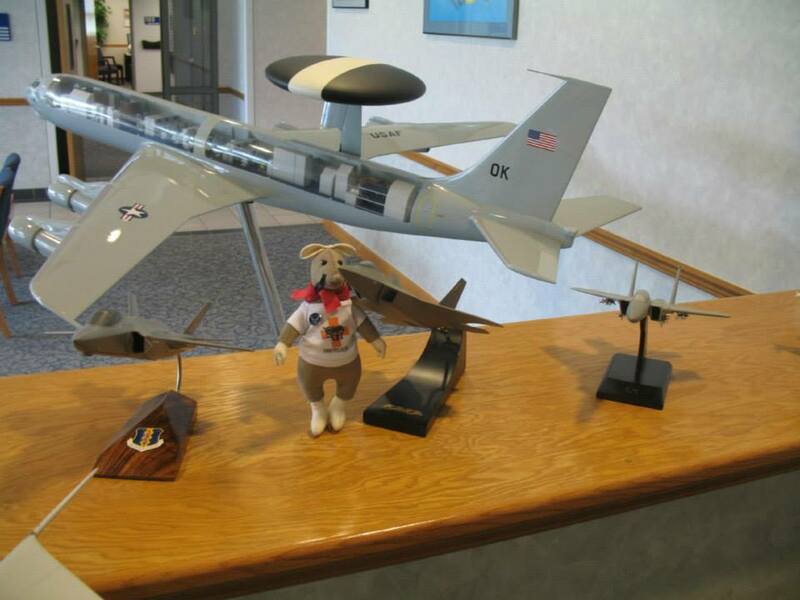 Cool model airplanes inside the squadron. 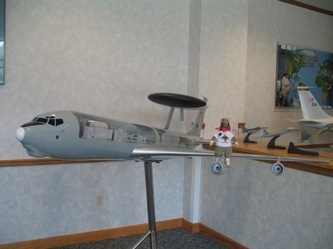 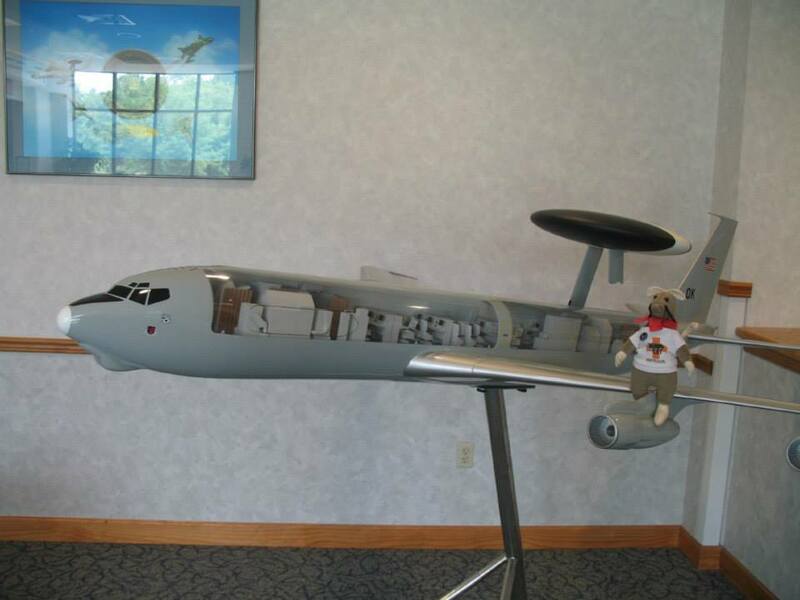 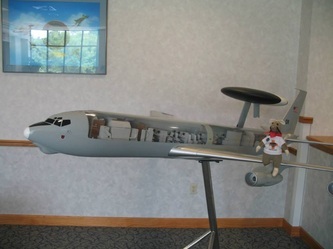 A model of the E-3 AWACS inside the squadron. 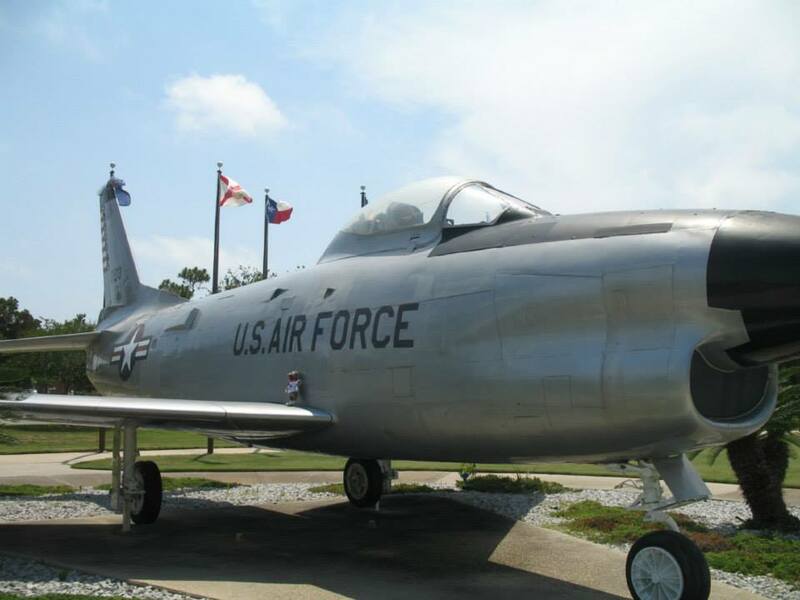 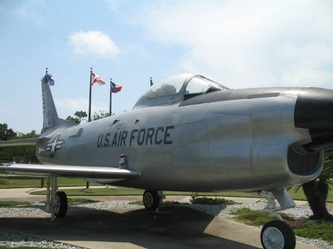 My host will be going to Tinker AFB to learn how to work on this airplane. 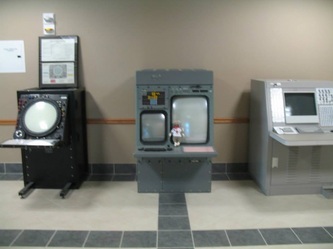 Some of the control consoles on display in the squadron. Patches are worn on the flight suit. 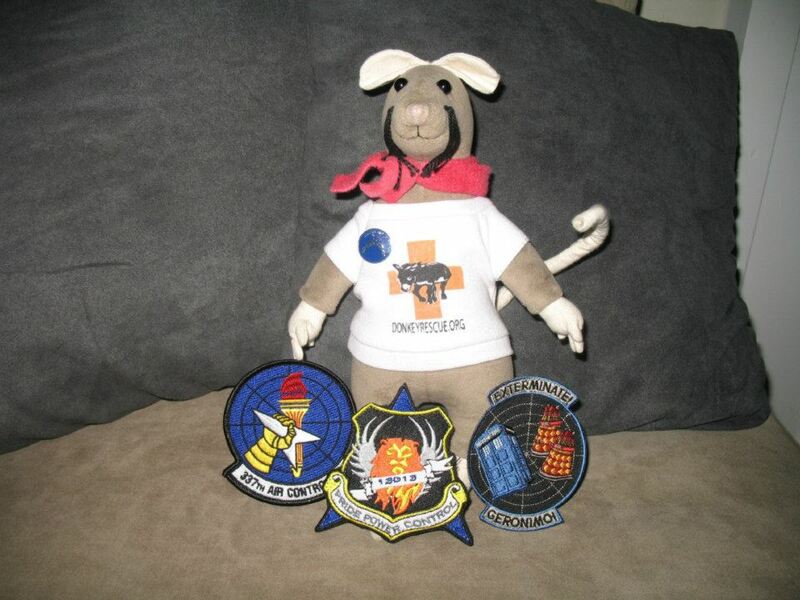 L-R: 337 ACS squadron patch, Class 13013 patch, a Doctor Who morale patch that my host had made. Saying goodbye to my host. It's been fun to look at stuff on an Air Force base. I got to take a look at the airplanes posted on display at Tyndall AFB today. 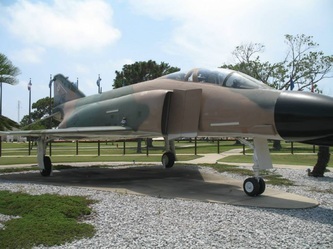 They are so big and very cool! 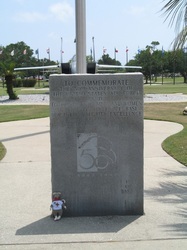 I am now on my way to Virginia.